I'm so excited to announce the winner of the FABULOUS blog makeover from Designer Blogs!! 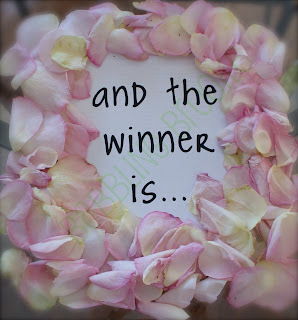 The winner will receive the premade blog design of her choice from Designer Blogs! Yippee! Jen from Miss Organic's Kitchen!! Please, please, please show me your new blog once it is all fancied up! I can't wait to see! I did not use a spreadsheet this time - my computer is not in good shape and it took AGES to make the spreadsheet for the last giveaway. I wrote out all the entries and it only took about 20 minutes! Thank you again to Designer Blogs for hosting this incredible giveaway. Please check out their great designs at www.designerblogs.com. There is still time to enter the CHOBANI Greek Yogurt giveaway and the SkinMD Naturals Lotion giveaway! The first number I drew was unfortunately disqualified because they did not meet the rules of the giveaway (must be a Babbling Brooke follower). I hate enforcing rules :( I'm sorry! Oddly, I couldn't get a response from my second winner - I contacted her three times by email and once through a comment on her blog, so I had to draw a third winner.